How well do you know your Soup? 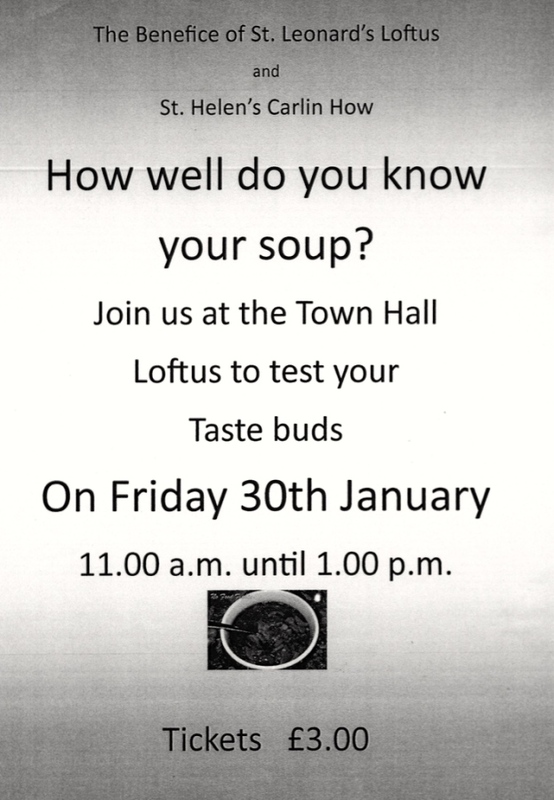 A Special Soup Lunch is being held on Friday 30th January 2015 from 11:00 until 1:00 pm at Loftus Town Hall. All are welcome.